Guys and girls, after you get married, another national and religious and public holiday magically etches itself into your calendar. You know it – it’s your wedding anniversary. If you forget Christmas (you won’t, but I’m making a point here), Jesus and Santa Claus will forgive you; if you forget Easter, again, the Bunny and Jesus will forgive you; but don’t you think you’ll ever get away with, or be forgiven if you miss your wedding anniversary. Girls, this goes for you too. Men may look like we don’t care, like it’s all a big drag to us – and sure, anniversaries and birthdays may not mean as much to us as they do to you – but we secretly love them. Depending on the guy, our love for these special dates can be very well hidden. You know it. You’ve experienced it. We also like getting fussed over and pampered. We like getting gifts, and being congratulated, and oh-how great it is for us whenever anyone puts in any sort of effort to show us they care. Just not in public, alright? And not to our face, either – you think all our alpha manliness was built up in a single day? You have to do it subtly, behind our backs. We have to be able to receive a gift and never show how grateful we are for it. Can’t help you there, and for that we apologize; it’s just the foolish way Nature designed us. Ladies, this is why we’ve decided to help you by putting together a Wedding Anniversary Guide for Men, by Man. There are many guides out there. If you happen to google “wedding anniversary gifts”, you’re going to find a plethora of advice on what to buy your significant other based on the number of years you’ve been together. Some of it is good advice, sure. However, most of these guides aren’t really being honest with you. Paper this, copper that, leather here, pearls there. It’s all somewhat… well, superficial and overly general. We’ll show you exactly what to do, and when to get your man a hammer and nails for your wedding anniversary. The first year of your life together has come to its close. As your first anniversary nears, the hunt for the perfect present begins. You two are still very much the newlyweds. Your husband is still doing the dishes and making sure that the tub is hair-free. He remembers important dates in your life and gets up out of bed to walk the dog even if he already put his pyjamas on. 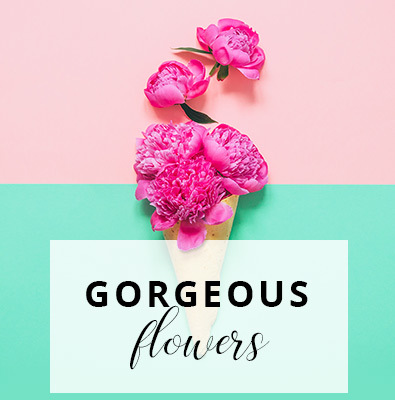 Even though this is your first anniversary, you might refrain from buying expensive presents, and extend the magical days of courting by buying your husband a bouquet of flowers. Despite the fact that this may seem quite convenient for us, this is by no means shameless (we do feel some shame) self-promotion. But we honestly feel this is the best first anniversary present. No hassle, no overthinking – a simple and beautiful way to mark the first milestone of your journey together. Over 720 moons have arched their way across from your window, and you and your husband have reached your second wedding anniversary. This time around, he is in line for a palpable, reusable present. Your marriage is still very happy and stable, but you’ve noticed him falling more and more into the black hole of “I will.” It is the ever-present disease that plagues the modern man. He is under a lot of stress. The never-ending pile of marital obligations, work obligations, friends, sports, staying in shape, parents, children, you name it, keeps falling on his back. It is very easy for men (in part thanks to our genetic heritage – none of this is an excuse, mind you) to fall into the trap of completely disregarding any and all housework. You’ve told him numerous times that the doors to the back yard are tilted, that the cabinet in the kitchen squeaks when opened, and that your child’s crib is dangerously wobbly. He says he will do it. Tomorrow. He understands your plight, and is desperately trying to fix it. But he lacks motivation. Help him. Buy him a brand new tool set, complete with hammer and nails and a drill and all the expensive screws and attachments and various other manly appendages. It may just be the incentive he needs to start doing things around the house. And even if he has, in fact, always been diligent and responsible with his housework, buy him some tools. You will then simply recognize the fact that he, in fact, is the man of the house. And his insecure inner teenager will love you for it. You haven’t been on a vacation all year long. Your bosses are merciless, the work incessant, the bills a linear constant in your life. This year is sun-and-beach time, and no one is going to take that away from you; from either of you. Buy yourself and your husband two tickets to the Bahamas, the Seychelles, or the Isle of Wight – it doesn’t matter, just make sure it is more than 500 miles from your home. 5 years of marriage is by no means a small feat. It meant successfully cohabiting, resolving arguments, being considerable and loving, and still maintaining enough space between the two of you for your mental health’s sake for half a decade. This is the year when your husband deserves that dirt bike he’s always wanted, or that carbon-frame mountain bike, or the £2000 personal computer he’d been drooling over for the past year. Listen to him, listen to what he wants, and then surprise the socks off him one day when he comes home from work. This will (you as a person too, of course) give you at least 10 more years of a blissfully happy marriage. Well, lads, I don’t know about you – but few men in my neighbourhood wear diamond jewellery. So, ladies, there will be absolutely no diamonds for him this year. Instead, you may want to organize your husband a surprise party, especially if you’ve never done this before; his friends, lots of beer, barbecue, and great memories. As both of you get older, you will learn to cherish these types of events and celebrations more and more. Mind you, a new car or bike or watch are perfect presents for every anniversary – but one can’t go around buying the same things year after year, can they? You’ve made it this far. You win. Honestly, the odds were against you: health, relationship, and life-wise. The greatest present you can get for your husband on your fiftieth wedding anniversary is the joy of being together still, alive, healthy, and well.